Liverpool defender Dejan Lovren hasn’t travelled with the squad to their training camp, which in turn raises doubts over his availability against Bayern Munich. 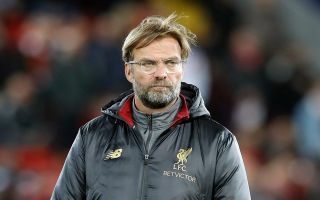 However, it would appear as though they’ll have to do so with question marks hanging over who will feature in the heart of their defence, with Klopp revealing that neither Lovren nor Joe Gomez travelled with the squad to their training camp. As noted by BBC Sport, it was confirmed that Gomez would undergo surgery on his broken leg earlier this month, and so his absence is to be expected. However, it would appear as though Lovren is still struggling with a thigh injury and that will be a concern for Klopp in terms of having enough quality and depth at his disposal at such a crucial time in the campaign. “Dejan is not here and Joe [Gomez] is not here,” he told the club’s site. The Reds kept their first clean sheet in four games in their win over Bournemouth at the weekend, with Joel Matip starting alongside Virgil van Dijk, while James Milner was deployed at right-back. However, it’s one thing taking on the Cherries with that XI and another facing one of the top teams in Europe, and with those potential absentees in mind, it could certainly be a weakness that the Bavarian giants look to expose on their trip to Merseyside next week.